Diapers / How many diapers will my baby use every day? During the first two years of your baby’s life, you’ll spend a lot of your time changing diapers. However, the good news is that, with practice, it will only take you a minute. Also remember that the number of wet and dirty diapers you change are a good indication of your baby’s health. That is, if you don’t change enough wet diapers, it might mean that your little one is dehydrated; and if you don’t change dirty diapers, he might be constipated. After the first few months have passed, your baby will probably wet and soil around 8 diapers a day, which adds up to 240 diapers per month. So many diapers! So we recommend you calculate costs, look for coupons and buy diapers when you have the opportunity to save as much money as possible. 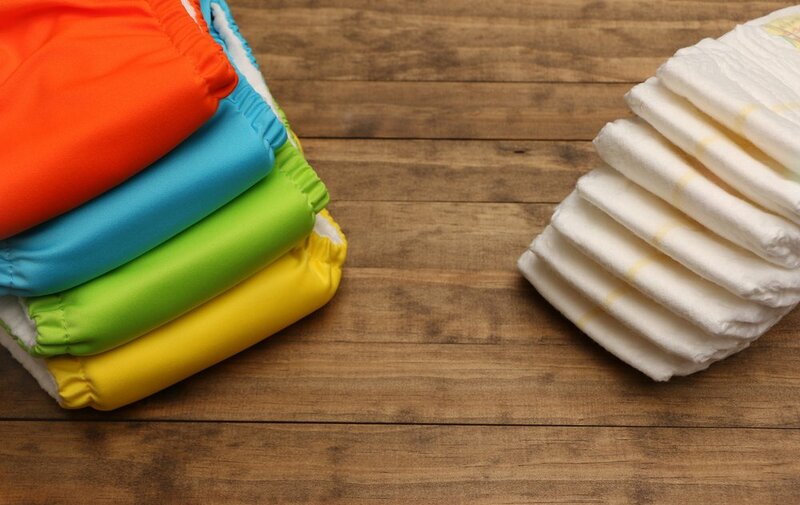 On the other hand, if you use cloth diapers, make sure to have more than 8 clean diapers ready every day to meet with your child’s needs. Remember it’s important to change a diaper as soon as you notice it’s wet or dirty. It’s often hard to notice a wet diaper when it’s disposable, since it usually won’t bother your baby, so it’s important to check the diaper frequently.